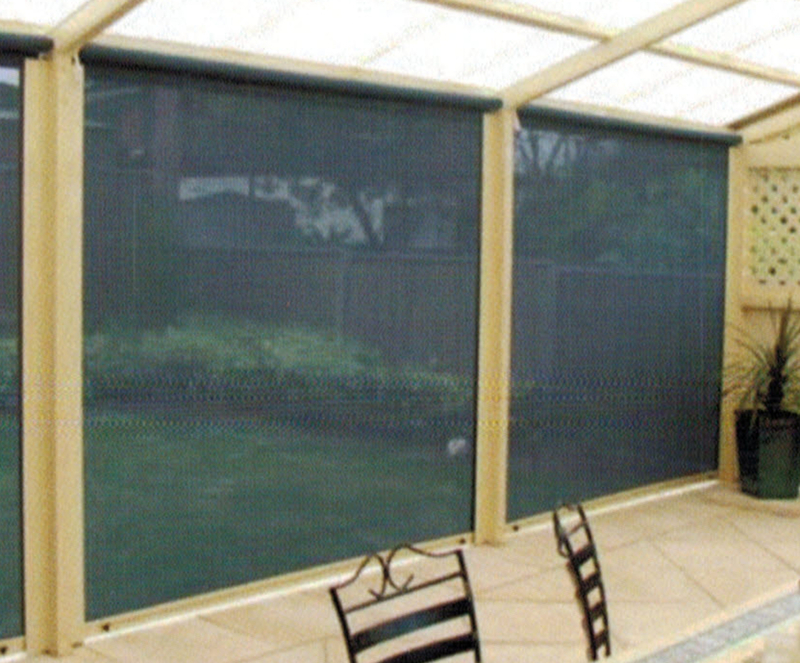 BCS Rollup Awnings are a heavy weight rollup awning usually controlled by either a crank or push button (electric). They have the advantage that they can be locked down and tensioned to handle higher winds without flapping. There is an optional blow out kit available to prevent the sides blowing out in heaver winds and you can make a weather proof room on those dreadful rainy days. The side rails and bottom rail can be powdercoated to suit your home. 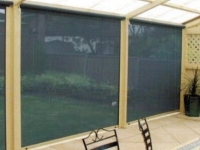 The fabric options for this type of awning include acrylic, canvas, mesh, and clear or tinted PVC. These come in varying degrees of translucent and in full block out options. there is a wide variety or striped and plain fabrics to suit most homes and businesses. Always roll up your awning in high wind and stormy conditions.